After reading about Iran's presidential debates and the huge voter turn out, I was hoping to see a clean election between former Prime Minister Mir Hossein Mousavi and President Mahmoud Ahmadinejad. 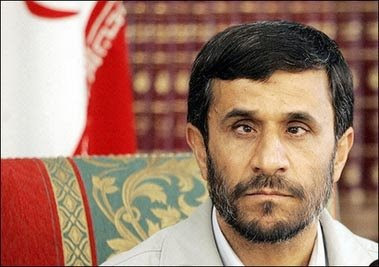 If he won legitimately, Ahmadinejad would have continued on his second term with a greater and stronger mandate to continue his anti-West and anti-Israel policies. Yet with all indications that he actually lost to Mousavi, and that the Interior Ministry more than likely swapped the results -- he is left being the president of a nation that hates him. Supreme Leader Ali Khamenei's support of the alleged rigged results places him in a very precarious situation. Most will fall in line and heed his instructions to accept the results, partly in fear of the Revolutionary Guard and the paramilitary. But this type of obedience is temporary as we have seen in the original revolution. If there is no more respect and love, there is no real power. When respect is traded in for fear and loyalty is traded in for slavery, the nation is ripe for a revolution.